Food delivery services startup Mr. Hot Foods Pvt. Ltd said on Tuesday it has raised an undisclosed amount of seed funding from angel investor Pawan Raj Kumar through the IvyCamp platform. “The addition of Pawan as a mentor to our team has helped us to understand the dynamics of Food & Beverage industry on a larger scale. His ideas and regular inputs help us in strategic decision making,” co-founder of Mr. Hot Food, Pankaj Sharma said. Founded in 2014, by IIT Kharagpur alumni Pankaj Sharma . Mr. Hot Foods aggregates local bhojanalayas (local eating houses), thali houses, and tiffin centers to deliver homely food to users in a restaurant style of ordering with standardized packaging. The vendors get training from professional chefs and access to analytics and technology to handle operations efficiently. 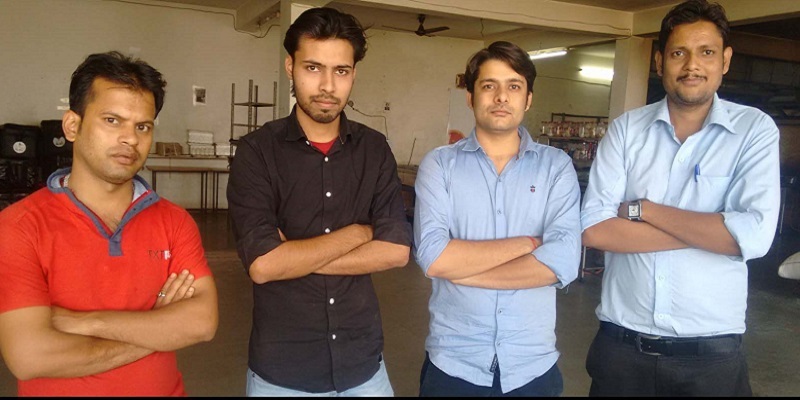 Operating in Indore, Madhya Pradesh, and Kota, Rajasthan, the startup delivers more than 1500 meals daily to students and professionals who work away from home. The company also has a weekly menu planner for a regular subscription, where a customer can plan his or her diet among 15 to 16 items per day per shift according to taste, diet, and budget. Also, Mr. Hot Foods either charges 4% of the total order cost or a fixed monthly fee from vendors. “Our revenue model is very simple, where a customer gives us advance money to recharge online food wallet and can consume it either by filling menu planner or by ordering instant orders as and when they need. We are working on tie-ups with corporate offices and institutions by providing them food in bulk at a discounted price,” says Pankaj. Bootstrapped, the team has been looking for external funding to expand across different parts of the country which has been met by the fundraiser facilitated by IvyCamp – an innovation and entrepreneurship platform by IvyCap Ventures, which connects entrepreneurs with mentors, investors and incubation centers through the global alumni networks of institutes such as IITs, IIMs, ISB and BITS Pilani. Prior to this, the online food ordering business in India is estimated to be worth around INR 6,000 crore (about US$ 883 million), growing at about 30% month to month, according to a report by India Brand Equity Foundation, released earlier this year. Looking at other Indian food tech startups, MonkeyBox Food Tech Pvt. Ltd, which delivers healthy food for children has also raised an undisclosed amount in seed investment from early-stage investor Blume Ventures. While in September, food-tech startup Idea Chakki Pvt. Ltd also secured an undisclosed amount of seed funding from Ratan Tata, interim chairman of Tata Sons.